This huge region, located between the Atlantic and the Mediterranean, is often described as ‘the region where living is good’. Made up of eight ‘departments’ – Ariège, Aveyron, Gers, Haute-Garonne, Hautes-Pyrénées, Lot, Tarn and Tarn-et-Garonne – it has 36 interesting courses on characterful landscapes. If you are seeking a real test, head to the most northerly of the region’s courses, Souillac. Sprawling in the middle of an oak forest, it is a technically accomplished course of narrow fairways and elevated greens by Jeremy Pern. There is also super accommodation on site. Toulouse is one of the region’s stellar clubs, formed in 1950 and playing to a delightful routing full of changes in elevation that offer lovely panoramas. Combine a visit to legendary Lourdes with a round on Lourdes Pyrenees, an Olivier Brizon track from 1988. Just nine holes, but Chateau de Barbet is a fine experience in the heart of quiet Gerseoise countryside near Toulouse. In the south of the Massif Central, Domaine de Mezeyrac offers unspoiled countryside, a hotel and cottages renovated from farm buildings and golf in a 100-year-old oak forest along a river. Near the border with Spain is historic Luchon. It is almost as old as south-west tracks Pau and Biarritz and enjoys a beautiful setting at the foot of Vénasque. 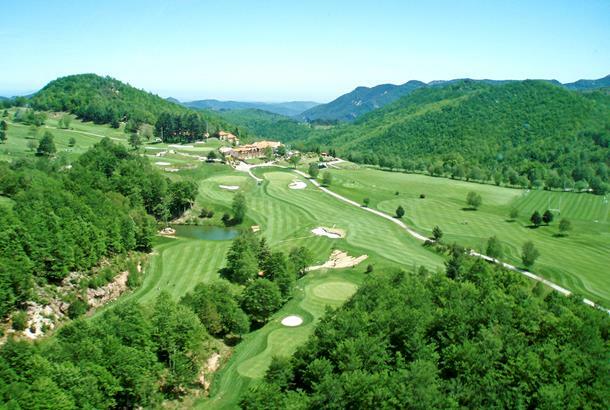 The Sud France Golf group has 12 courses on some of France’s most beautiful landscapes; some close to the coast, others in the heights of the Pyrenees. In the Montpellier area, Montpellier-Massane is characterised by fragrant broom borders while Fontcaude Montpellier Juvignac has been set down among trees and wild scrub by New Zealander Chris Pitman. On the Mediterranean coast, Robert Trent Jones Snr’s La Grande Motte is just yards away from beaches of the famous seaside resort. Cap d’Agde is a fine Ron Fream design with its own Amen Corner. On the Catalan coast near Perpignan, Saint Cyprien is a super resort with two courses, while in the Pyrenees, Domaine de Falgos has an idyllic south-facing setting near the Spanish border. Nîmes Campagne, Nîmes Vacquerolles and Carcassonne complete this wonderful selection of lower-profile but high-quality courses. And the area’s golf pass allows you to play at least three courses for €120 in low season (€150 high season). Terre Blanche is the star attraction but there are 63 other clubs in this region – which might have less Top 100 quality than others, but boasts tremendous depth. Take Dolce Fregate for example, where the region’s superb cuisine and wines can be savoured in addition to breathtaking Mediterranean views, superb courses and and four-star accommodation. All just a few minutes from Bandol and Cassis. Ron Fream designed the 18 and nine-hole courses, both of which afford outstanding sea views and of nearby islands. Elswehere, Cannes Mougins is a tree-lined private club that welcomes visitors, while nearby Royal Mougins was founded in 1993 and laid out by Robert von Hagge amid a lush, wooded vale and ancient stonewalls 10 minutes from Cannes. Barbaroux was also designed by Americans – Pete Dye and son Perry – while Pont Royal in Mallemort looks out over the Alpilles and Luberon, Durance valley and the mountains of Trévaresse. Gary Player’s first French design was at impressive Taulane, while Michel Gayon’s Saint Endreol is surrounded by century-old pines and the river Endre. 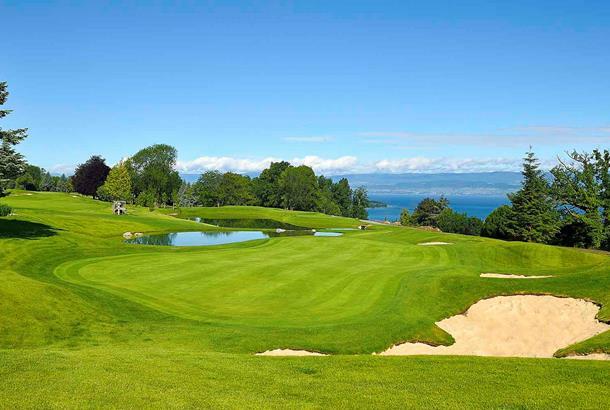 Evian is the stand-out here of course, as befits one that boasts a remodelled course deemed good enough to host one of the five majors in the ladies’ game. From these refurbished fairways you drink in amazing views of the peerless mountain and lake setting. Off the course the quality continues with a beautiful hotel and first-class practice facilities. The Evian Championship, September 15-18 this year, will see every top lady golfer in the world compete; the only other time they all meet like this outside the USA is for the Women’s British Open. Lydia Ko, Paula Creamer et al surely prefer the mild weather and velvet green of Evian compared to the unpredictable nature of the British Open! 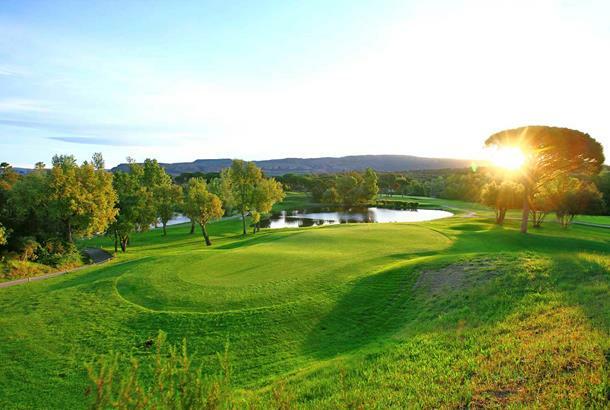 The rest of the Rhone-Alpes collection is headlined by the Lyon area, which has some fantastic courses such as Lyon GC, Gouverneur and Salvagny. Further afield there are other courses that are easy to imagine even if you don’t ski; when the snow melts from the slopes, they become green pastures for sensational courses. The names will be familiar even to non-skiers: Tignes, Avoriaz, Meribel, Courchevel, Les Gets, Three Valleys and Chamonix. The combination of pine-lined fairways, remarkable views and high-altitude golf is an intoxicating one – and of course apres ski becomes apres golf in the fabulous bars and restaurants.